Cocoa mass*, 12% blueberries* (75% blueberries*, sugar*, sunflower oil*), sugar*, cocoa butter*. 4% quinoa crisp* (rice*, quinoa*, 30% sugar*). *From organic agriculture, certified by DE-OKO-013. MAY CONTAIN: milk, cereals containing gluten and nuts. 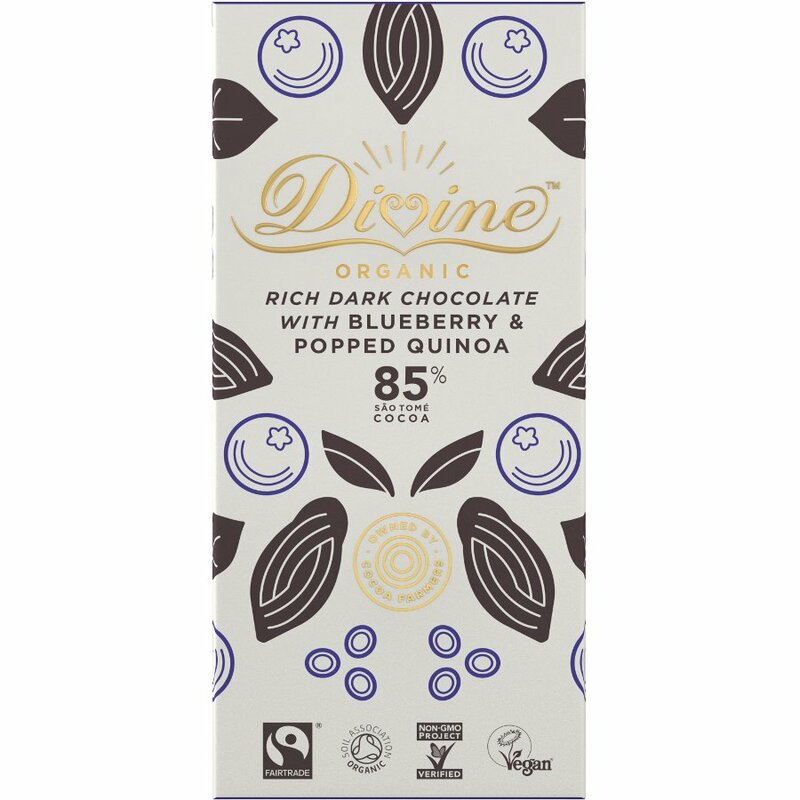 There are currently no questions to display about Organic 85% Dark Chocolate with Quinoa & Blueberry - 80g.